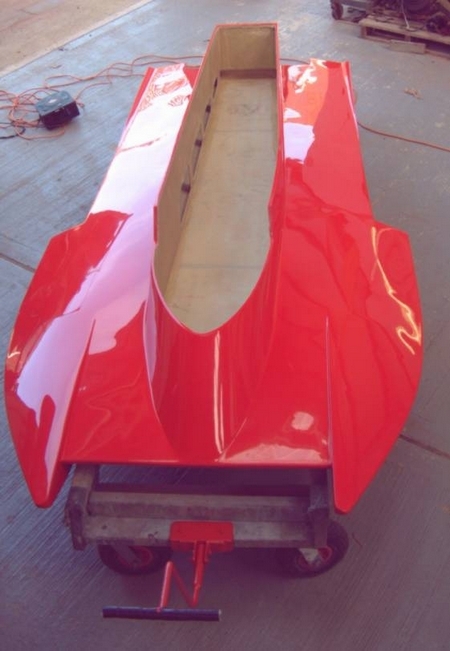 Through 2007, the new hydroplane ’21’ was raced by Craig Speller, but it was also a test model for Project 21. After completion of development, ’21’ was used to create a set of moulds. 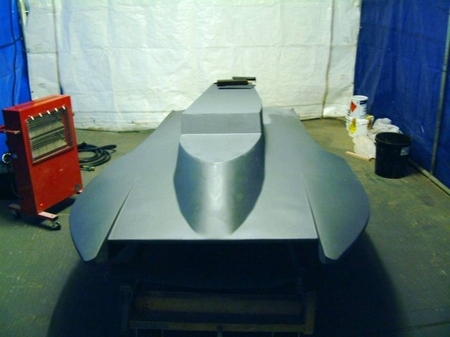 The first two hulls completed production and were prepared for the first races at Stewartby during the Easter Weekend. 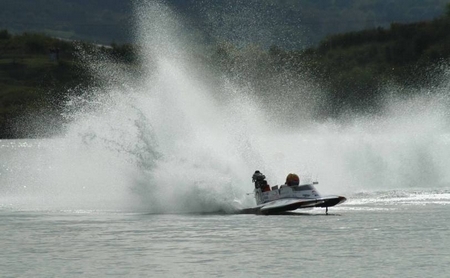 The weather conditions, with high winds and snow shows prevented the hydroplanes from racing. 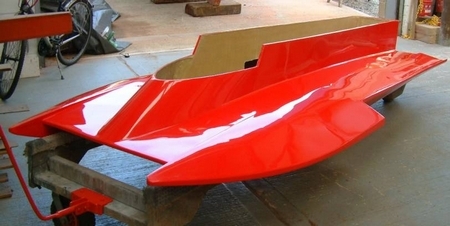 Project 21 is much more than a new hydroplane hull produced from composites. The story will unfold during 2008. Head to head with the World champion, Craig Speller gets the better line and shows the boat really does work. 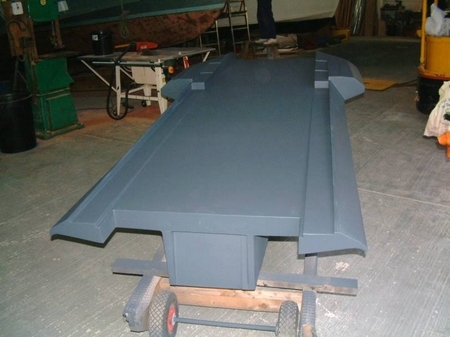 After the World Championships development work on ’21’ continued, this has involved reducing the overall length of the hull by some 10″ [250mm] and minor adjustments. The end result has been greatly improved acceleration, better handling and much faster lap times overall. 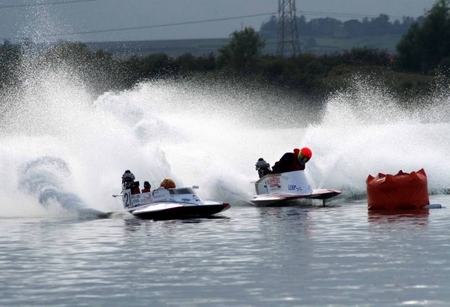 The Last UK National race of the 2007 season saw the boat dominate the event with 4 wins from 4 starts, this even though we were still experimenting with engine settings and props. The picture shows Craig putting the boat through some more buoy turns at the Bedford event.